Hi, I am back with day two of our April JustRite Papercraft's release. Today we have a fun alphabet to showcase, that you can use for so many purposes, such as cards, layouts, DIY wall art, or art journaling. 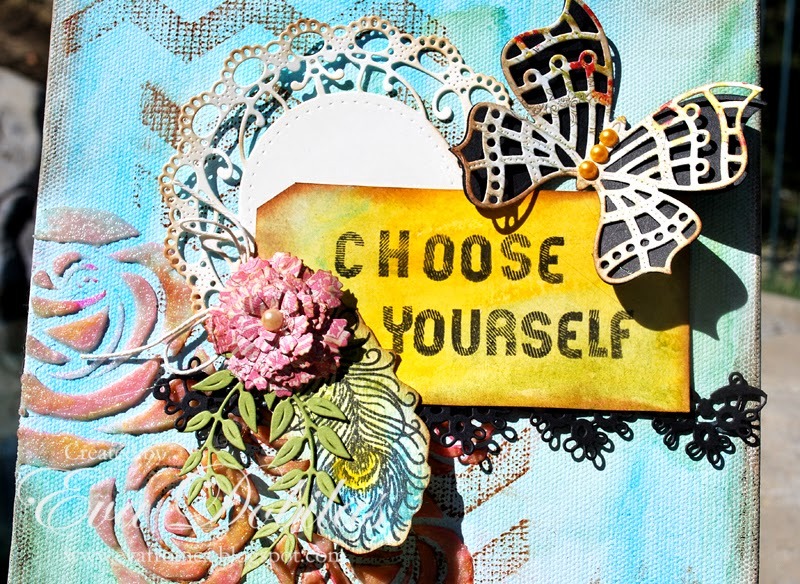 I recently read a book titled Choose Yourself by James Altucher, which I recommend reading for anyone. 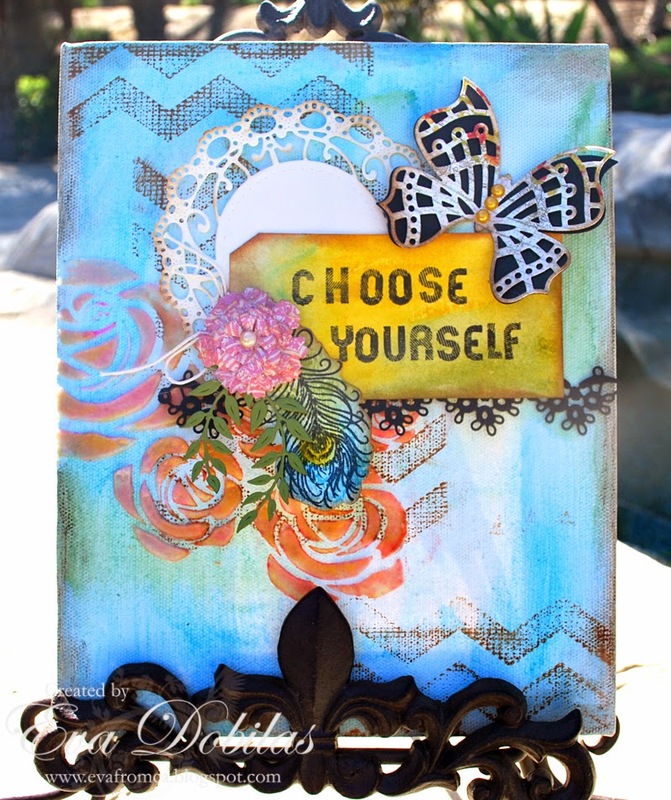 The title stayed with me and of course the meaning of the book, so I decided to create a canvas with the Grunge Alphabet Clear Stamp set using our newest stamps and beautiful Cheery Lynn dies. To start out my canvas I painted it with Gelatos, than I stamped it with the new Burlap Chevron Cling Stamp. I used Creative Imaginations Rose stencil and molding paste, which I dried and inked it up with rose ink. I used a medium size tag and painted it with Gelatos and stamped my sentiment on it. I also pulled out my Whisper of Wings stamp set and stamped one of the feathers, painted it in with water colors. Here is what our fun Grunge Alphabet Clear stamp set looks like. And now it's time for you to hop over to see what the rest of the design team created using our new stamps. Thanks for stopping by and wishing you the best day ever!